WASHINGTON - The Pentagon said Monday the military for the first time conducted armed drone missions out of Turkey last weekend, and is planning to conduct manned aircraft flights from Incirlik Air Base. Capt. Jeff Davis said so far none of the drones launched airstrikes. CBS News correspondent David Martin reports that unarmed drones were already flying out of there, so this action consisted of arming the drones that were already there. There have been no manned aircraft yet flying out of Turkey because the U.S. must set up a search and rescue capability first. The use of the Incirlik base comes as the U.S. expanded its combat in Syria, launching airstrikes Friday to defend rebels under attack by the Nusra Front, al-Qaeda's branch in Syria. Davis says this is the first time the U.S. conducted defensive strikes against anyone other than Islamic State of Iraq and Syria (ISIS) militants in Syria. Under current rules, the U.S. can conduct offensive strikes against ISIS, not Assad regime forces or others. Meanwhile, a report by an independent monitoring group released Monday said U.S.-led airstrikes targeting ISIS have likely killed at least 459 civilians over the past year. The report by Airwars, a project aimed at tracking the international airstrikes targeting the extremists, said it believed 57 specific strikes killed civilians and caused 48 suspected "friendly fire" deaths. It said the strikes have killed more than 15,000 ISIS militants. While Airwars noted the difficulty of verifying information in territory held by ISIS, which has kidnapped and killed journalists and activists, other groups have reported similar casualties from the U.S.-led airstrikes. "Almost all claims of noncombatant deaths from alleged coalition strikes emerge within 24 hours - with graphic images of reported victims often widely disseminated," the report said. "In this context, the present coalition policy of downplaying or denying all claims of noncombatant fatalities makes little sense, and risks handing (the) Islamic State (group) and other forces a powerful propaganda tool." The U.S. launched airstrikes in Iraq on Aug. 8 and in Syria on Sept. 23 to target ISIS. A coalition of countries later joined to help allied ground forces combat the extremists. 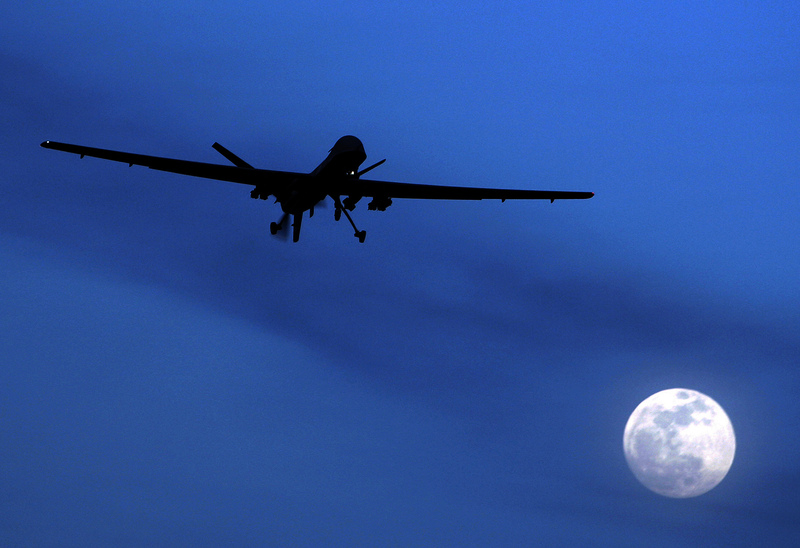 To date, the coalition has launched more than 5,800 airstrikes in both countries. The U.S. has only acknowledged killing two civilians in its strikes: two children who were likely slain during an American airstrike targeting al-Qaeda-linked militants in Syria last year. That same strike also wounded two adults, according to an investigation released in May by the U.S. military.